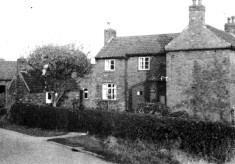 Esate agent's photograph of The Homestead in December, 1973. 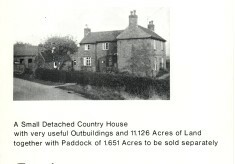 A small set of pictures and documents contributed by Mr Dennis Stanniford of Great Gonerby, comprising sales details published by Escritt and Barrell relating to The Homestead, Normanton, sold by auction in 1973. 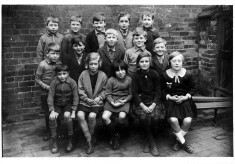 There is also an old school photograph showing a group of school children grouped together outside their school building – locality uncertain, but unlikely to be Bottesford village school. This house belonged to Mr Stanniford during the 1790s. 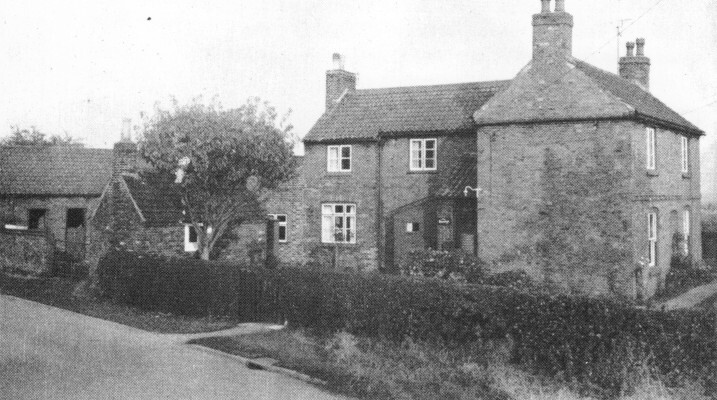 The Homestead, a 19th Century farm house on the eastern side of Normanton Lane, Bottesford and Muston parish.